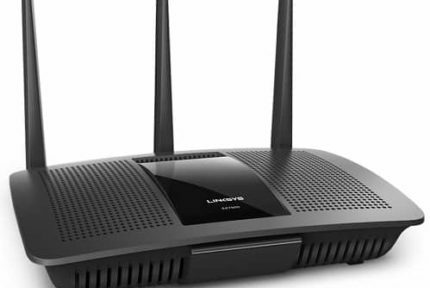 Having your entire home covered by a stable wireless signal is hard to achieve with a single router, especially if it is an underpowered one. Luckily, it is easy to boost and extend the signal with a little help from a simple, affordable wireless router! In this article, we will be bringing you the four best routers that you can get for under $50 – the ideal way to improve your Wi-Fi coverage without spending an excessive amount of money. The first on our list is a small and discrete router from Tenda, the N301. This is by far the most compact and the most affordable router on the list, but that doesn’t mean that it is an inferior product. This little router is the ideal choice for covering small areas, perhaps if you’re only having poor coverage in a single room that you want to improve. However, it is not remarkably powerful and doesn’t have any standout features. If all you’re looking for is a simple, no-frills router then the Tenda N301 would suit your needs well. It can be placed virtually anywhere and is entirely capable of handling multiple devices at once. 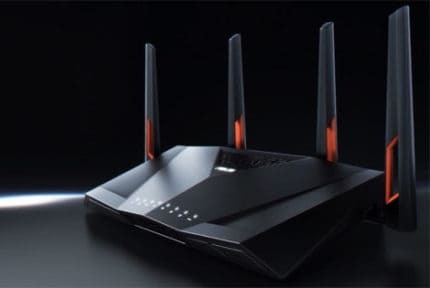 However, if you need to cover multiple rooms or have quite a few devices that need to have access to a stable connection across a wider area, then you’d probably want to get a more powerful router. Furthermore, it has not proven to be the most reliable router in the long run, so investing a little more now might pay off further down the road. The following solution comes from TP Link and it is one very similar to the above product from Tenda in that it, too, is a simple, compact router with pretty much identical specifications. However, as is often the case, the product offered by a better-established and more renowned company tends to be better-built and proves more reliable overall. This is exactly the case with the TL-WR841N and the primary reason why it is on this list. 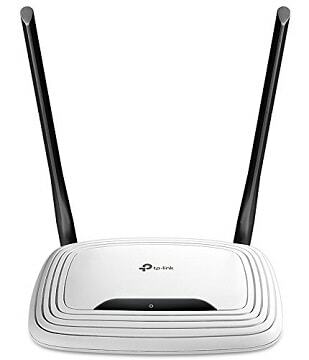 As mentioned above, this TP Link router is quite similar to the one made by Tenda. However, it offers better build quality as well as greater reliability, both in regards to the product itself and the customer support. There are no major differences performance-wise, and the greater longevity and reliability are why we recommend investing a few extra dollars, unless you’re really pinching pennies. Up next is yet another single-band budget router, albeit a slightly more expensive one that’s coming from Asus – the RT-N12. This little router is arguably better-looking than either of the aforementioned two products, and it feels better-built overall. Once again, the technology seems to be identical, although Asus does introduce some optimizations that improve their router’s performance. Even though the technical specs seem identical, the RT-N12 has a built-in signal amplifier that increases coverage and helps it maintain a stable signal across multiple rooms. While the router offers excellent performance and coverage, it is quite bulky compared to the more modest solutions described above. 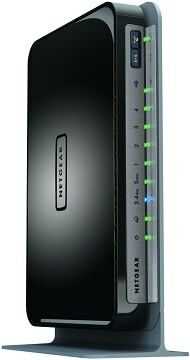 Still, this is only a small drawback if you’re looking for the most efficient budget router to spend your money on. And finally, we have a router from Netgear that simply blows all the above models out of the water in terms of performance. 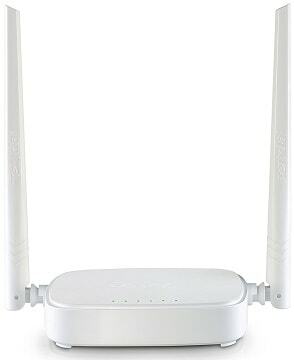 The most outstanding feature of this router is that it is the most affordable dual-band router available, meaning that you have access to both the 2.4GHz and the 5GHz band. This is great for those who live in areas with many active devices, as that can lead to the standard 2.4GHz band getting choked up quite easily. There is simply no denying it – this Netgear router is the way to go if you need the absolute best price-performance ratio. The 5GHz band is less popular than the 2.4GHz one, which means less interference, as mentioned in the introduction. However, the performance comes at a price, literally. This may be the cheapest dual-band router, but it is also the most expensive one on this list, lingering on the very edge of that $50 mark. Still, it is well worth the money if you’re looking for the best performance in a budget router. Wi-Fi signals are generally broadcast at the 2.4 GHz frequency, and this is the standard frequency on which single-band routers operate. However, dual-band routers also utilize a higher-frequency 5GHz band which differs in two main aspects: it has greater bandwidth and shorter range. 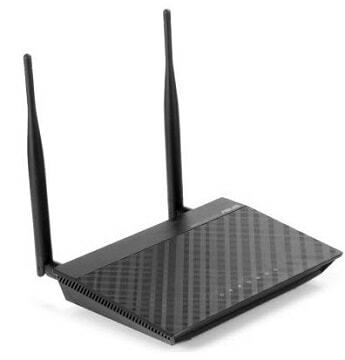 In the case of the affordable routers discussed here, the primary reason why you’d want to consider a budget dual-band router is to avoid signal interference if there are many Wi-Fi networks running in your immediate area or if there are many devices connected to your own network. Furthermore, there is the higher bandwidth. In the case of the above Netgear router, we have the 300 Mbps bandwidth offered by the 2.4GHz band and the 450 Mbps bandwidth offered by the 5GHz band, making for a total of 750 Mbps. Again, this should be kept in mind if you think that you might be getting low Wi-Fi speeds because of too many devices being connected simultaneously. 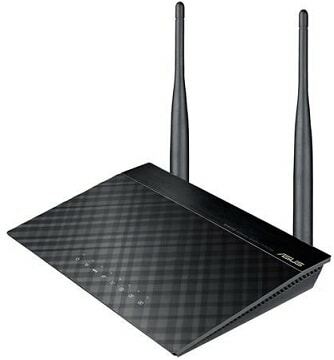 If we had to choose what the single best router under $50 was, we’d have to go with the Asus RT-N12, mainly since we find it to present the best overall value. It is everything that a good budget router should be: inexpensive, reliable, and fully capable of meeting the average user’s needs. Of course, you will not go wrong with any of the budget routers listed here, as long as you keep your own needs and their capabilities in mind.